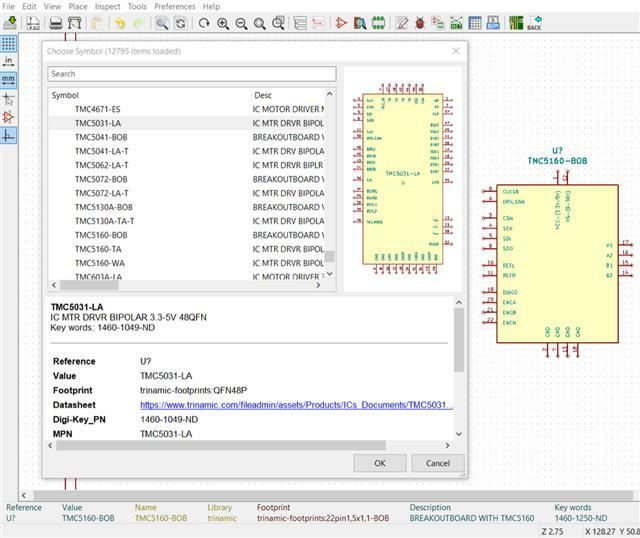 Digi-Key has announced the release of a secondary KiCad library, known as the Digi-Key Partner Library, on GitHub. This is intended to be a supplement to the company’s existing KiCad library released last year. For more information, visit Digi-Key’s website. 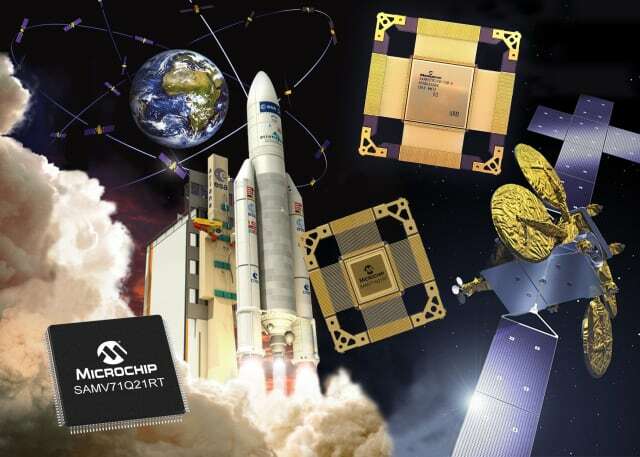 Microchip has introduced Arm-based microcontrollers (MCUs) that combine the low-cost and large ecosystem benefits of Commercial Off-the-Shelf (COTS) technology with space-qualified versions that have scalable levels of radiation performance. The SAMV71Q21RT radiation-tolerant and SAMRH71 radiation-hardened MCUs utilize the Arm Cortex-M7 System on Chip (SoC) for improved performance. While the SAMV71Q21RT’s radiation performance is ideal for “NewSpace” applications such as Low Earth Orbit (LEO) satellite constellations and robotics, the SAMRH71 offers the radiation performance suited for more critical sub-systems like gyroscopes and star tracker equipment. 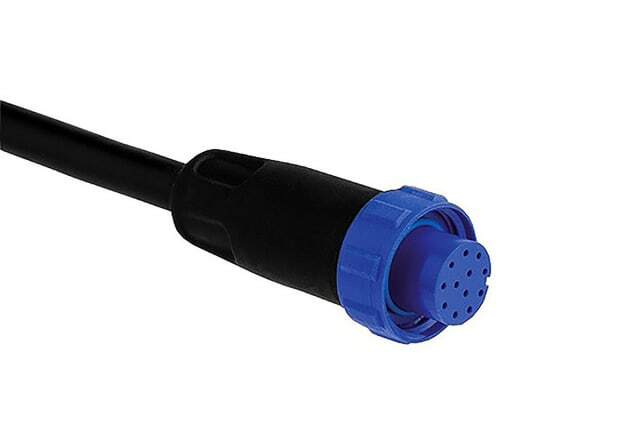 RS Components has unveiled a programmable version of the 4000 series of environmentally sealed circular connectors from Bulgin. Rated to meet different levels of prevention against dust and water ingress, the 4000 series of miniature connectors are suited for use in a range of data monitoring applications located in harsh external environments. The 4000 series provides compact 19.1mm-diameter circular connectors made from UL94V0-rated flame-retardant materials, together with a quick-turn bayonet coupling mechanism, which enables a secure connection without the need for specialist tools. 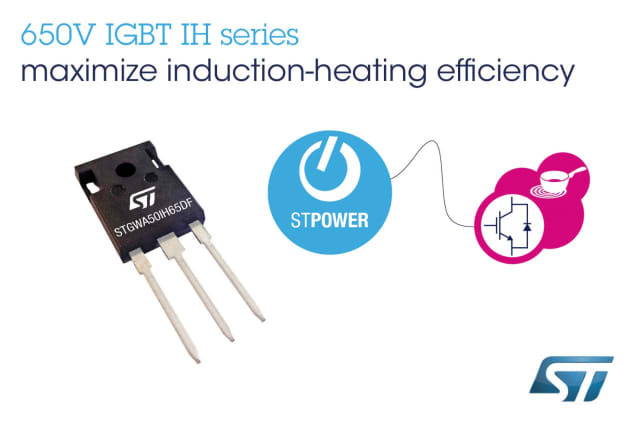 ST has released its STGWA40IH65DF and STGWA50IH65DF 650V STPOWER IGBTs to increase the energy efficiency of resonant converters in the 16 kHz to 60 kHz switching-frequency range. Rated for 40A and 50A respectively, the STGWA40IH65DF and STGWA50IH65DF serve applications up to 4kW. With low saturation voltage of 1.5V (typical at nominal current) and a low-drop voltage freewheeling co-packaged diode, these IGBTs combine improved conduction performance with low turn-off losses. For more information, visit ST’s website. 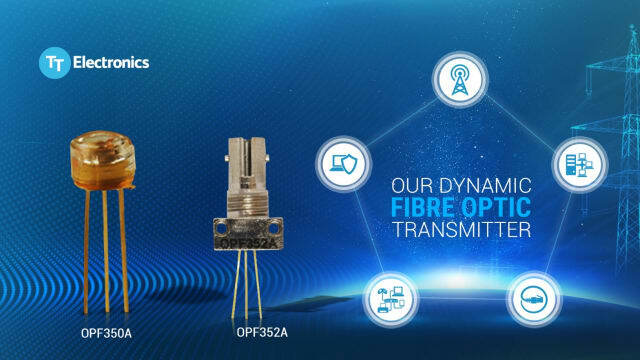 TT Electronics has launched its OPF350A and OPF352A fiber-optic transmitters based on 850nm LED technology. These transmitters improve performance with up to 8 percent more optical power with various fiber sizes such as 50/125μm-200/300μm. The OPF352A in the ST-style receptacle is suitable for PCB or panel mounting. It is supplied pre-mounted, pre-tested with fiber to assure performance, and ready to use, with necessary fixings and a protective dust cap included. For more information, visit TT’s website.